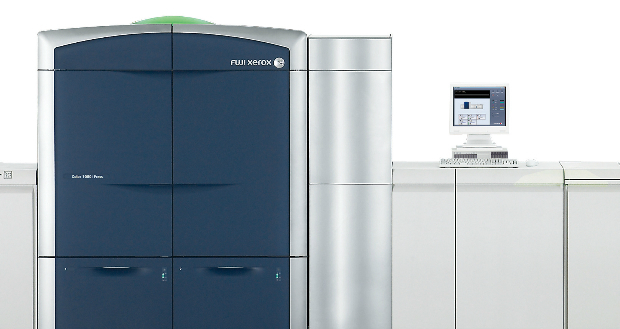 The following videos demonstrates the possibilities of using either the Fuji Xerox 1000i or the Fuji Xerox Iriddesse press. The samples shown in these videos might have been produced on either press – Color-Logic will work on both engines. How is the registration on the ColorPress using Color-Logic? When "over printed" i.e. printed in one pass there are no registration issues however this limits creativity and doesn't allow access to the amazing new range of colours. Under-printing requires two passes and you need to be careful with registration. 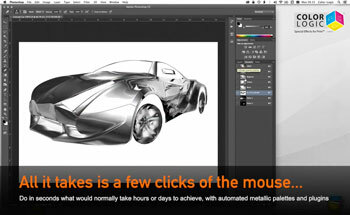 The biggest area to focus on is the design which can hide or accentuate registration issues. How does Intertype use Color-Logic meaning how is it sold to your customers? This service is important to generating metallic clicks and has rapidly become a nice little earner outside of metallic printing as well. What kind of value do your customers see in CMYK + Silver + Color-Logic prints versus CMYK prints? My customer would like to see same account growth meaning charging more for print based on the value they’re able to offer using the ColorPress and Color-Logic. 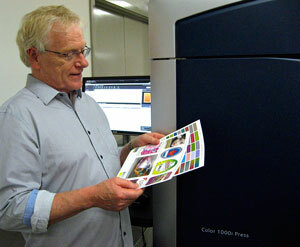 Have you experienced growth with existing clients using the ColorPress and Color-Logic? Are you charging more to your customers because of the value Color-Logic brings to your clients? We earn more from clients by providing collaborative artwork services. We charge $135 per hour and typically bill a minimum 2 hours per simple job and our biggest project to date run to over 20 hours. Our customers don't see a "per click charge" as we bundle all our services into a combined per finished unit cost. We typically recover a surcharge of $0.50 to $1 per A4 page when we apply metallics. What kind of success has intertype experienced in selling and generating additional revenue with new customers using the ColorPress and Color-Logic?